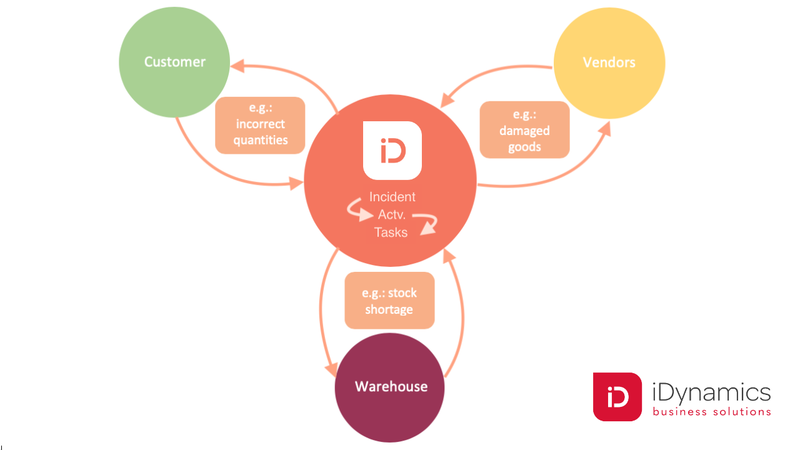 iDynamics Incident Management is an extension dedicated to manage incidents that occur during the standard sales or purchase processes of Microsoft Dynamics 365 Business Central. Create tickets related to one, or more, purchase or sales documents. Create tasks and follow-up actions related to these tickets. The extension allows the management of incidents related to suppliers and customers with respect to the company's purchases and sales, including the central warehouse receipts, so that it covers not only the purchase and sale operations affected by an incident, but also the rest of the internal operations (Administrative tasks, etc.) at the same time. For all this, there is a specific maintenance of incidents and uses the tasks and interactions of the CRM module of Dynamics 365 Business Central / Dynamics NAV that will be linked to the incidents, thus obtaining a vision and planning of work to be done (tasks) and actions performed (interactions).